Brochure printing, like many other significant facets of business marketing holds an important position all across the world. It is seen that the image of a business house or a company in front of a client or public often depends upon the brochure. Printing a brochure with time has become easier that processes sophistication in its system concluding the earlier trial and error procedure. 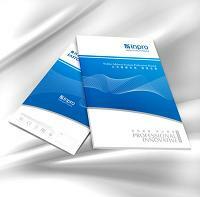 Usually, the time required to print a brochure depends upon the type and size of the printer. These days, a brochure can be printed even within a day, at an extra cost; otherwise, it takes around a week to get the job done. In the modern age, a brochure is printed with digital printing system, which is entirely mechanical. All, a sender needs to do is transmit the digital files to the printer for loading it to the printing system. This particular printing procedure is also cost effective, as can produce diverse impression without using the same plates. Additionally, through this particular brochure printing process the ink toner does not get absorbed in the paper, but is placed as a thin layer. 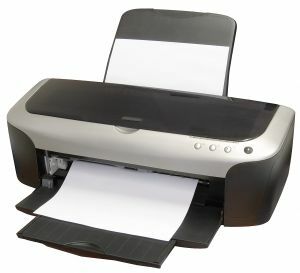 A number of companies or business houses choose to print the brochure themselves where they often use inkjet machines or laser printers, depending on the budget. In other cases, business houses also depend upon an online printing service and companies with a larger market chooses to rely upon a standard and specialized printing house. While printing a brochure, always remember to call your printer to find out the preferred formats and other requirements prior to sending the files for printing. You might need to alter the format of your files or treat it to other specifications depending on the printer that is used for the process of brochure printing. Consulting your printer will help you market cost-effectively. Any business house offering increasing number of productivity needs to print a catalog, which not only advertises for the business house but also helps in striking a deal with a client or letting the consumers know about the products and services of the business. Well, catalog printing is a costly affair, as you need to make it colorful and attractive alongside being glossy. Now, investing on a costly catalog might not always fall within the budget, especially for small business house. However, with little knowledge about the idea and desktop publishing software, you can get into the business on your own. Prior to making your own catalog, you must develop a fair idea about what is a catalog all about. Well, these are nothing but a systematic multi page book kind of a thing that comes balanced in images and text. From business houses, promotional sectors, to small organizations, catalog printing is for everybody, as it caters to diverse industry needs and interests. Since, these can enhance your business leads largely; you must always rely upon a professional for getting the business done. You can also take help from an experienced and expert printer possessing all the knowledge about the printing world. However, if budget stands as a concern, you can take help from the desktop publishing software and someone who knows the printing basics. Usually, two process of catalog printing that is offset printing and four-color printing process dominates the printing business. The offset process integrates the full color printing practice and is usually done at a fast rate. 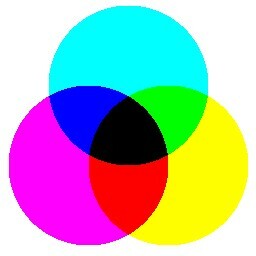 The four-color printing process on the other hand, usually makes use of the CMYK color code that is cyan, magenta, yellow, and black. Alongside, the text, you must also keep a chick on the images, as they must be balanced perfectly while catalog printing. Always consider using images in highest resolution. You are currently browsing the Excaliber Printing Blog blog archives for November, 2011.